We all have special or “useful” belongings filling up our closets. Maybe someone else might actually use them? In the flow of stuff from generation to generation, we all end up holding on to things for sentimental reasons or because we thought of someone who could use them. 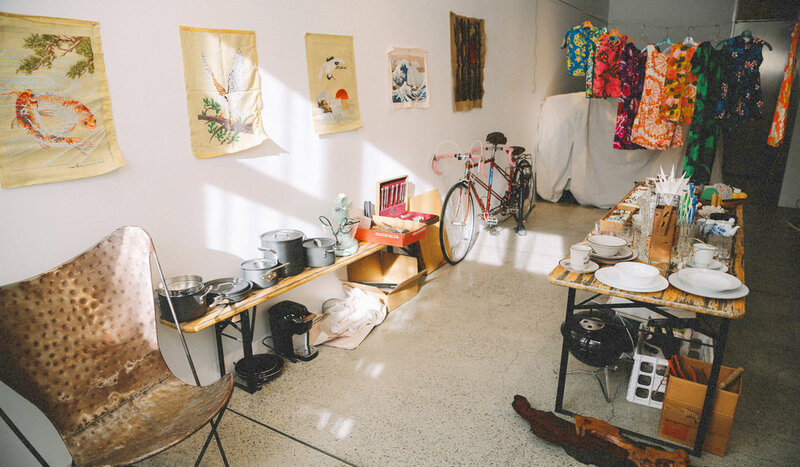 The StoreFrontLab Community Memory Store is a chance to launch these special belongings on a new course through history (or change the course of others) – and support StoreFrontLab! > To make room for everyone’s stuff, please limit your contribution to a few select items. > For each item, we’ll ask you to complete a form telling us what it is, how it came to you, and a suggested selling price. We’ll share this information online, but contributors can remain anonymous. > All proceeds from the sale support StoreFrontLab. > This is an experiment, so please be patient with us as we sort out the logistics. > Prices as listed; all sales as is. > Venmo or cash only. For more details visit our store website or send an email to hello@storefrontlab.org.